Double glazing is one of the most effective barriers for blocking out sound. Combine that with a Deceuninck UPVC Frame and it only increases the performance of the windows and doors. At Mint Window & Door Solutions, we deal with many clients trying to reduce external noise and block out buses, trains, traffic, planes and more. 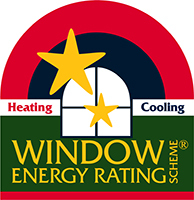 With the unique double glazing combination we use, we can achieve outstanding results. uPVC windows and doors in Sydney designed for noise reduction work best for double brick homes/units and well insulated houses. Whether you’re interested in installing noise reduction windows in Sydney or you want double glazed doors in Sydney, call Mint Window & Door Solutions today to find out how we can help.